I’m not sure when the following two were taken, probably around January 2000. All photographs on this site are copyright. If you want to use any please contact me first. 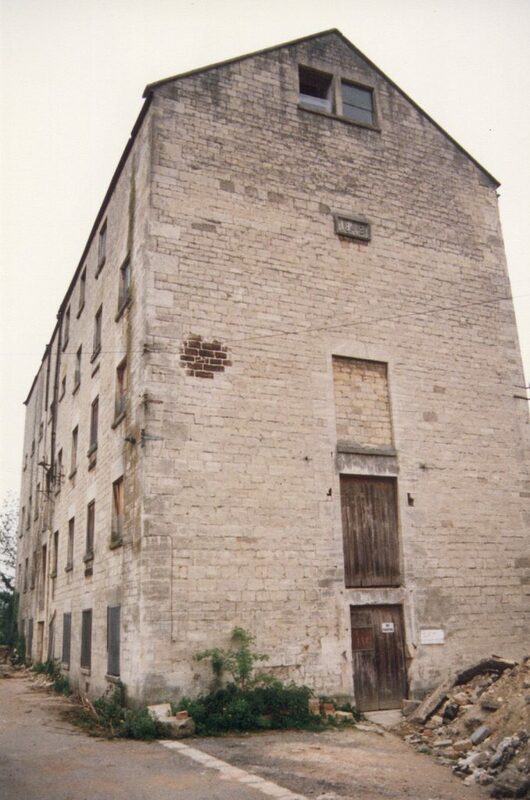 This old mill is on the edge of Sainsburys car park in Stroud at Dudbridge. The first photo shows it in 2018 from Rodborough Fort. It’s the tall building in the lower right of the photo. 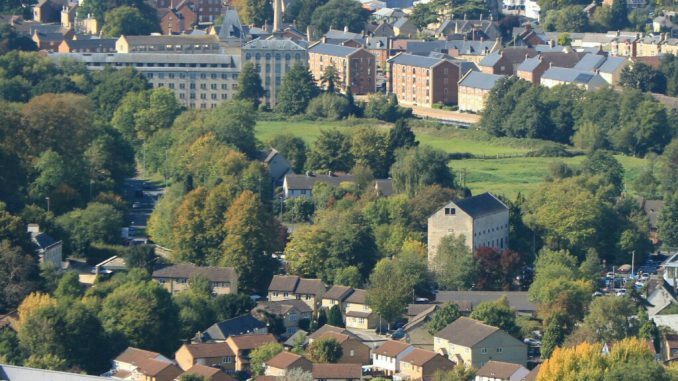 The larger mill in the upper left is Ebley Mill, now home to Stroud District Council. 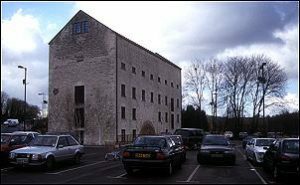 Sainsburys fixed up the exterior of the mill when the new store was built some years ago and a lot of Stroud heritage stuff is now stored there. 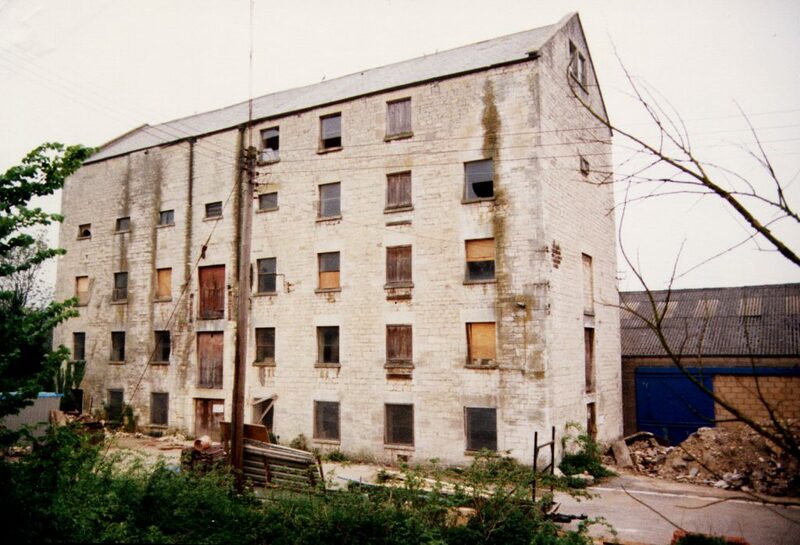 Previously this was a flour mill. A stone located high up in the wall marks the date as 1849. 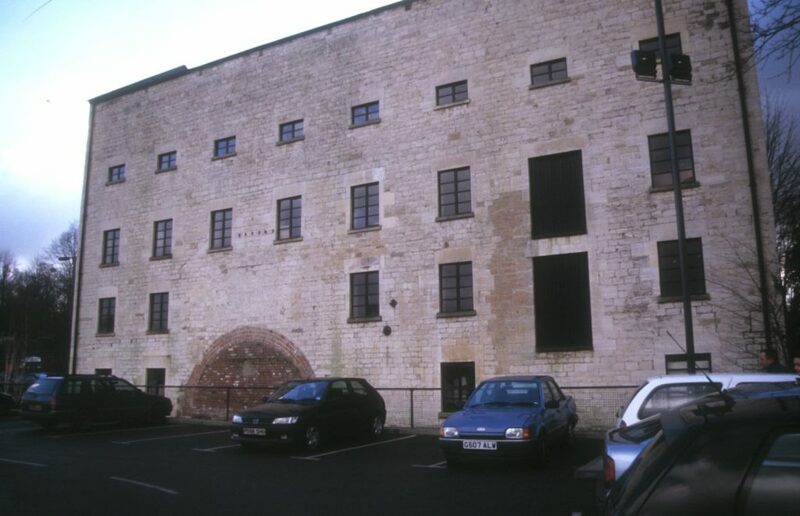 The building is now used as the Stroud Mills Heritage Centre. In the past there was some railway track that allowed railway trucks to be brought up to the area where the large doors are seen in the second photo. The railway here was the LMS line and there is a plaque on the wall where the old railway station used to be on the entrance to the cycle path tunnel that goes under the road.